But, what does it mean with regard to your school website management? Take, for example, a lesson plan. You choose your objectives, gather your information and materials, plan your activities, and determine your assessment. But a lesson plan is useless if it just sits on the desk, right? The teacher must make it come alive if students are to learn from it. In many ways, your school website is like a lesson plan. You work tirelessly to choose your objectives for your site, gather your information from all your departments, plan and complete your pages, and then assess them for accuracy and ease of use. Your website is complete, and you breathe a sigh of relief. But like a lesson plan, it is useless if you just let it sit in cyberspace. You must keep it alive. Keeping your school sites alive requires constant attention. And just as you revise even the most trustworthy and reliable lesson plan periodically to work best for your audience (your students) and the changing times, you must also keep your useful and valuable school websites up to date and well-maintained to stay healthy and vibrant and to be a functional tool. From free to costly, there are several tools available to help check the quality of your website. We’ve found many of the free ones to be just as good as the ones you pay for. To check a few of these out, just do a search for free spell checkers and you will be presented with lots of options. However, most browsers now have built-in resources as well, so you might want to research that option first. Another very helpful tool is a link checker that finds broken links. There are several available for free. Each has its advantages. Some check one page at a time, and some check the entire site and provide a report. They include Xenu’s Link Sleuth, Online Broken Link Checker, LinkChecker, and Check My Links, which is a Chrome extension. Make sure that the images you use on your website are royalty free or you have the legal right to use them. You’ll want to avoid copyright infringement so be sure your staff knows that they cannot simply grab an image from Google images and think that it is okay, or your school could end up with a hefty fine. While we are discussing quality control, scheduling a review of your website compliance on a regular basis is also a must. ADA website compliance is a legal requirement and if your site isn’t already meeting WCAG 2.0 standards, you’ll want to get it there. Then, several times a year, you can run it with an accessibility checker like WebAIM and correct any errors that might have cropped up. Of course, the most vital component of the website maintenance process is the team who has responsibility for the task. It is easy to allow maintenance to slip down on the priority list. Before long, your documents can become outdated, links can stop working, little mistakes can start to creep in, and your online impression can begin to dim. If this happens, it won’t take long for visitors to stop looking to your website for accurate information. But, just like a great lesson plan that is used well and keeps up with the times and the intended audience, you can have a great-quality website that is a joy to visit. A well-maintained website, kept up to date and accurate with appropriate information will come alive and be everything you need it to be. 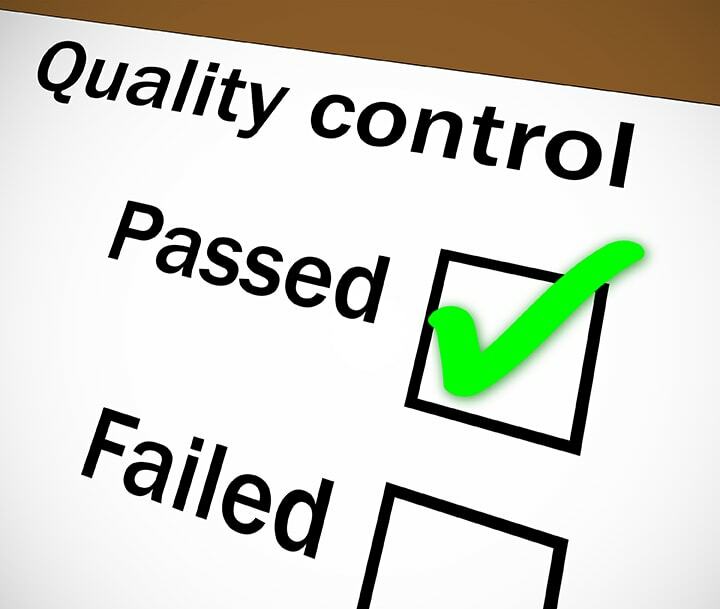 And, over time, you’ll find that you uncover fewer and fewer issues during your quality control checks. Since we know life can get in the way, and time can slip away unnoticed, we suggest you mark your calendar and send yourself a reminder to make regular quality checks. Weekly information updates and a good quality check (links, spelling, information accuracy) about every 30–60 days should do it. Keep it up, and you’ll always have one of the best school websites around. You can do it! If all of this seems a little overwhelming, don’t worry. School Webmasters can help. We routinely run the online and personal, manual website quality control checks we’ve discussed here for all our clients’ websites to ensure they meet our lofty standards of quality. We also provide ADA compliant websites and responsive website designs. High quality and effective school websites have become complex and time-consuming to manage. School Webmasters has your back. Just give us a call at (602) 750.4556, and let us discuss the many ways we can be of service to you. When it comes to getting the support you need to manage your site and maintain quality control, School Webmasters provides your school with the experts to deliver website management services you can count on.